One of the keys to having a great caller experience is to keep the On-Hold message current and up-to-date. So how do you do that? How do you know when to change it, how often to change it, and what to change? That depends on a number of factors. What is the profile of your caller? In other words, does he call in regularly, once a week, month, or year? Or does he interact with you heavily for a week, then not at all for a couple of months? How long is he On-Hold? What are the top three or four things callers ask about when they call in? Is there information that would really be helpful for them to hear? These are some of the questions that you need to consider as you walk through the process of creating a complete On-Hold program. It’s not just as simple as slapping a message on your phones, and checking that off the To-Do list. If you really want a powerful Caller Experience, it takes understanding your business, understanding your caller, and understanding how people think. How often have you heard, “Don’t put me On-Hold!” I’ll bet you’ve thought that a few times yourself! Being On-Hold is often a frustrating experience. But let’s break it down to examine why it’s frustrating. Number one, it’s taking up your time. Time that could be spent doing other things. And companies that have long hold times (we’re talking more than five minutes or so), really need to reevaluate their staffing or procedures for handling calls. Ah…the dreaded silence. Have I been disconnected? Am I being transferred? Did I just get put into the phone system’s Black Hole? (Most phone systems have one of those—you knew that, right? Somewhere that callers go, never to be heard from again!) As a business, putting your callers On-Hold to silence is one of the worst things you can do to hurt your Caller Experience. It’s like asking people to stand in line with a blindfold on. They’re just not going to stick around! But give them something relevant and interesting to listen to while they’re On-Hold, and the wait time will seem very much diminished! If you do have an On-Hold message…congratulations on “getting it.” Now, what does it say? You see, callers want to hear about themselves. They want to hear how your service or products are going to make their lives better…how they are going to help them and change their lives for the better. They don’t want to hear a message that is all about you—all about how long you’ve been in business or how great you or your products are. This kind of message comes across the phone lines as “blah, blah, blah.” But tell a story, make the caller the star, and you’ll experience a much happier customer when you pick up the phone! The party line is dead. Ahhhh, the steamroller of progress. A very good thing this time. The party line’s completely non-private service made eavesdropping opportunities abound. If another caller were on the line when you needed to make a call…too bad…you were waiting. But when it comes to business, have you realized that the party line is dead? No longer do multiple people share a phone call to your company. It’s a direct, one-to-one relationship. Have you customized your On-Hold message to reflect that reality? Talk to that one caller in his or her language. Right, but have you considered who those “lots of people” really are? Mike Wittenstein, Chief Experience Officer at Storyminers, says the most important factor for delivering a great customer experience is to know your customer. Personally. That personal knowledge allows you to understand how your product, service, or company fits into the customer’s life—what it is that makes him or her value your product. Rather than build the Caller Experience with your entire customer list in view, pick one, and design it for that customer. Choose a customer you know personally, and build your message around how your product or service improved that customer’s life. Tell a story, with your customer as the star. 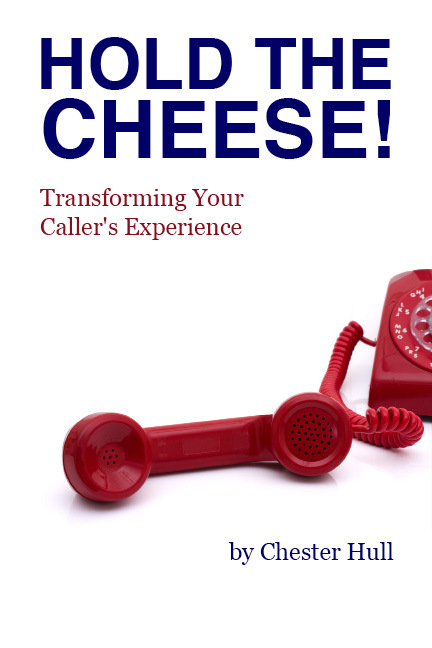 Applying this tactic to other areas of your Caller Experience is even more straightforward. Here’s a great example from DSW Shoes. You see, if you want to connect with an individual caller, you have to talk to them like an individual! My friend Roy Williams taught me that it’s hard to read the label from inside the bottle. What you think is your “inside reality”—the customer experience inside your doors—is only what your customer says it is. Nothing more. And thankfully, nothing less. That also means you have the opportunity to surprise and delight your customer with unexpected service. A while back, I ended up owning two identical, brand new iPads. Well, when I found out I wouldn’t have to pay a restocking fee to Apple to return one of them, I decided to send one back. It was only after I decided to return one that I found out Apple not only would not charge a restocking fee, but they would send me a prepaid return shipping label, and the return wouldn’t cost me a thing. As in free! I was delighted. And the reason I was delighted (aside from saving the money, of course) is because it was unexpected. Nowhere does Apple advertise “Free return shipping…you can send it back, and not pay a dime!” It’s just something Apple does, and it makes me like doing business with them. So what do you do to delight your customers? What are the little…or big…things you could do to surprise and delight your existing customers? Strengthening the bond with your existing customer base is one of the best ways to increase your revenue. So why is it that it often goes the other way? You woo customers in with fantastic ads and heartfelt promises, but then once they’re “in the fold,” they are no longer on the “To Be Delighted” list? Get out of the office…business…or whatever work environment you are in. That’s right, go ahead. Are there any preconceived notions or misconceptions that prevent more people from coming to your business, or buying what you sell? What mistakes do some competitors make? That is, how could they create a more fulfilling customer experience? Now, call your business, and ask for directions to your store. Pay attention to what this experience sounds like…how the phone is answered…what you hear as a customer. Walk into your business and buy something. Was it easy? Did you enjoy the experience? What was the environment like? Sometimes it takes getting out of the familiar to see things from another perspective. And even then it’s hard! You might be surprised at the view from outside the bottle! I’m a huge fan of empowering your front line people to do what they need to do in order to make your customers happy. I’m constantly baffled at companies that give their Customer Service Reps the power to make very attractive offers to potential or former customers, but if I, as an existing customer, am unhappy or upset, there is virtually nothing they can offer to keep me as a customer. Ann Brady talks about an experience she and her husband had with their satellite dish company. After more than four years as a loyal, paying customer, they noticed a problem with the reception. When they asked to have someone come take a look at it, they were told it would be $100. That is the only option customer service was empowered to offer. When Ann informed the customer service rep that she could get brand new satellite equipment for free from the company’s competitor, she was told to go ahead and switch, which Ann and her husband did. After they switched, the first company called to ask why they left, so Ann told them the story. The employee agreed that “After four years, we should have fixed it for free.” Too late. Ann had signed a new one-year agreement and couldn’t be happier with their new, free, digital video recorder. Examples like these are not at all uncommon in the customer service world. Give your customer service people…your frontline customer contact points…the power to solve customers’ problems—to do whatever it takes (within reason) to make your customers happy. 1.) Depending on the nature of the complaint, arm your customer service employees with the ability to offer incentives to unhappy customers to encourage them not to leave. For example, if you normally charge for a service call, but you’re facing the prospect of losing a ten-year customer, allow the customer service representative to offer half off. 2.) If your company screwed up, and your customer calls you on it, allow your customer service people to admit that a mistake was made, apologize, and offer something to make up for it, perhaps a free month of service, or a coupon for a discount on a future order. Nothing is more aggravating than having someone apologize without admitting any wrongdoing (i.e. “I’m sorry you feel that way,” or “I’m sorry you’re upset about that.”) Teach your people to say, “I’m sorry; we were wrong. What can we do to make it up to you?” While the customer isn’t “always right,” reacting this way can go a long ways toward keeping a customer. Train your customer service people on how to act like human beings. Provide them with the kind of conflict-resolution training they need to turn unhappy customers into people who at least believe your company cares about their problems and wants to help them. For example, record your calls, and once a month give an award to the customer service representative who does the best job turning angry customers into happy ones. 5.) Don’t wait for the customer to insist on speaking to a manager. If the customer service representative’s authority to offer a solution is not enough to retain the customer, it should be standard procedure for the representative to request time to consult a supervisor and possibly bring him or her into the discussion. At one time or another, we all are going to have to answer the phone to talk with an angry or upset caller. When that situation happens, here are a few things to remember. If you match the caller’s anger or upset feelings in your response to him, the call, and the relationship, will quickly melt into a puddle of irreplaceable hard feelings. So the first thing to do is…to NOT do! Don’t react with frustration; don’t respond in anger, and don’t even make a smart comment. The best thing to do is to stay calm. Most of the time, if you can empathize with the caller, you will gain his ear, and calm him down at the same time. Empathy is understanding or entering into another’s feelings. Convey that you understand why the caller might be upset, and that it’s not an unreasonable reaction (even if it’s not the most productive reaction!). Seeing the situation from the caller’s perspective is the first thing the caller really wants you to do. I recently had an excellent example of an employee taking the blame for the company when I called Starbucks. I had purchased a coffee cup, and used it once, and the second time I went to use it, my coffee poured out all around the lid! As coffee ran down my chin and on my shirt, I couldn’t believe what was happening! When I took off the cup’s lid, I saw right away that the cup had been cracked, all around the top, and there was no way it could be fixed. I called Starbucks to ask what it suggested I do about this situation since I suspected that the first time I used the cup, a barista had dropped it, and I felt that could have caused the cracking. When I spoke with the Starbucks representative, the first thing he did was take full responsibility for the incident. No questions asked. There was never any implication that it might have been my fault, and never any hedging on the fact that the company was going to take care of me. Right away, he asked whether I could send him the receipt for the cup so he could give me a refund. Unfortunately, I didn’t have the receipt anymore, so he asked what I had paid for the cup. I told him it was ten or eleven dollars to the best of my memory. He let me know that without the receipt, he couldn’t issue an exact refund, but that he would be happy to send me a $10 gift card if that were acceptable to me. He also took careful notes of the cup type, and let me know that the company tracks incidents with its cups, so it can improve on them. By taking the blame for the company, the employee allowed for there to be only a very small step between solving my complaint, and making me a fan of Starbucks for life! If you are transferring someone, pass along as much information as possible. The person’s name, why he is calling, anything you’ve done so far to try to resolve the situation or answer the question, and even the caller’s mood. If you’re on the receiving end of a transfer, let the caller know you have his information. You can do so simply by greeting him with his name, and then saying, “Joan gave me your information, and it looks like you need some help with resetting your debit card pin?” That’s both a summary, as well as a question to confirm that you understand why the person is calling. Here is something else interesting about an assisted transfer. Lots of times, I hear a person answer the ringing phone, begin the transfer, and then yell across the room to let the called party know who is calling him! An assisted transfer would have allowed the person to use the phone as an intercom, delivering the information without having to yell! When you do a transfer, make sure it goes through before you hang up. I’ve been bounced around companies multiple times because someone simply answered the phone, transferred me into oblivion, and moved on to the next caller. 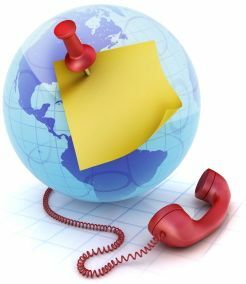 It only takes a moment to make sure the person you are transferring the caller to is the correct person, and whether he is available, or if you can connect the caller to him in some other way. I once called the credit card company to ask for a credit increase on my business credit card. The IVR (Interactive Voice Response) system easily walked me through the process of entering my account information, entering the amount of credit I was requesting, and entering income details. It then proceeded to ask me to wait while it transferred me to a representative. I expected the representative to pick up right where the system left off, to complete the application, and to provide my results. Boy was I disappointed in the caller experience! The phone system didn’t hand off any of my information. The representative answered the call as if I had just called in, and he had no idea that I was in the middle of a credit increase request. In fact, as I explained to him the process I had been walked through by the IVR, he sounded slightly amazed, as if he didn’t realize his phone system did that! As I explained my story, he offered to put me through to the “Credit Increase Department,” which sounded promising to me. She offered to submit a request for me, and I proceeded to give her all my information (again). I then asked about the company’s sixty day policy. You see, this credit card company has a policy that it will not raise a credit limit within sixty days of opening the account. Now, this situation wouldn’t normally be a problem, except that my company had just moved from a credit card with one bank to this new card at a new bank. The new bank, in its infinite wisdom, decided that our business only needed a credit line that was 15 percent of our old card. I explained how this situation was making it quite difficult to run a small business. This company markets itself as the Small Business Solution…the one thing you need if you’re a small business. But then it made it incredibly difficult to do business with its company. The representative did tell me that the soonest the company could offer an increase would be the 15th of December (which, ironically, was less than sixty days after the account was opened! ), and suggested I call back then. The IVR system could include a message about the sixty day policy. The IVR could display my information to the rep, so he would be instantly up to speed on what my call was all about. The IVR could have transferred me directly to the Credit Increase Department since it already knew that’s what I wanted. The rep who did transfer me to the Credit Increase Department could have made an Assisted Transfer, passing along my story (and my name and account information) to the next representative. With a company policy in place that shackles her hands, this representative wasn’t going to be able to change a lot for me. However, rather than ask me to call back, she could offer to be proactive, take my information, and submit the request on the 15th, rather than make me start the process over again. The representative also could offer to contact me with the results or any questions at that time. Any of these things would be an improvement on how this company handled my call. This incident may have cost them having my company as a client, and I know I’m not the only one who has had this experience! So why should you care about my experience with some unnamed credit card bank? 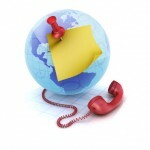 Hundreds or thousands of customers and prospects are calling your business every week. Have you thought about what their caller experience is like and how you can improve it? Just a few simple changes like these can make a world of difference in how your customers feel about your business. Don’t make it difficult to do business with you! Before you simply press the transfer button, make sure your caller knows that you’re going to transfer him. Give him enough time to interject in case he only needs to ask a simple question or he would rather call back instead of being transferred. A lot of times, you may be able to answer a quick question, without having to transfer the caller to someone else. Regardless, don’t simply press the transfer button as soon as the caller has asked to be transferred. You can reply with a simple, “I’ll transfer you now” to help the caller. « The ringing phone or the waiting customer?